Apple Cider Vinegar: Mix apple cider vinegar with baking soda until you see bubbles in the mixture. Apply it over the underarms skin. Let it dry and then wash with normal water. Aloe Vera: Apply freshly cut aloe vera on the affected skin and let it dry for a few minutes. Rinse off with cold water. Olive Oil: Mix olive oil with brown sugar and make a scrub like a mixture. Apply it gently over the dark underarm skin. Scrub for a few minutes and then rinse off with normal water. 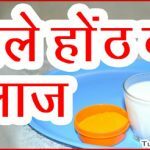 Turmeric: Mix turmeric powder with milk and form a paste. Apply it over affected skin and let it dry. Wash it off after a few minutes. Almond Oil: Get a few drops of almond oil on your fingers and massage gently over the underarms. Let it stay and rinse off when you go for a shower.